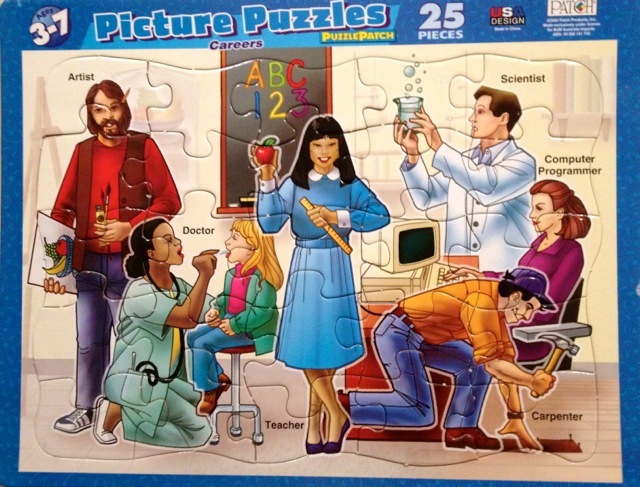 We had a family party on the weekend and, as I was packing away the puzzles that the younger kids had been playing with, I noticed one aspirational puzzle entitled Careers. 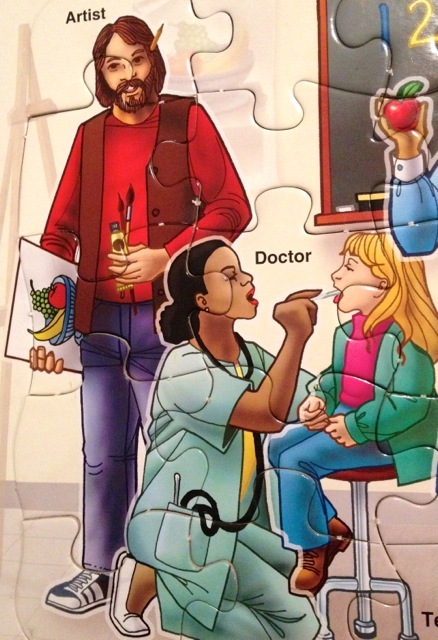 As I checked out the range of career options that our kids were being shown, I could not help but notice that the ‘Artist’ looked suspiciously like Jesus. Oh, and also like he has A PENCIL COMING OUT OF HIS HEAD, but that is really secondary. The Artist and the Doctor. But there is a clear winner in this puzzle – the teacher. You would definitely make sure your homework was ready if this was waiting for you in the classroom – ready to strike with poisoned apple or the ruler dagger. This is why I love working in HR. You find the most interesting things, Sparks. Creepy. I am just loving the random selection of careers! Maybe the rest have been nailed under the floor boards!